Robin Williams, One Year Later: What Will Your Verse Be? I spent the afternoon hours of August 11, 2014 on a plane six and a half miles off the ground, wholly (albeit briefly) disconnected from the constant refresh of life in the digital age. As I landed in Austin, I was bombarded with texts: Robin Williams, the man who gave life to beloved characters like Aladdin's Genie, Mork from Ork, and Mrs. Doubtfire, had died by suicide. Like most of you, I felt I'd lost a dear friend. Like some of you, my heart especially hurt because I attempted suicide years ago myself and felt I had the tiniest bit of insight into his pain. Ironically, I was slated to speak about the experiences of suicide attempt survivors at the annual Texas Suicide Prevention Symposium the next day. The morning of August 12, I appeared on the Glenn Beck Program. I wasn't sure how my message -- that suicide is an equal-opportunity killer -- would be received by someone who had built his brand on divisive polemics, but I was pleasantly surprised. Beck handled discussion of suicide with adept sensitivity. He even disclosed having struggled with suicidal thoughts in his own past. This was a huge step for someone so deeply entrenched in the media, especially considering his target demographic (namely white men, who accounted for 29,000 out of the 41,000 suicide deaths in 2013, and gun owners, who are three times more likely to die by suicide than non-gun owners). My optimism that the media would handle this story safely was short-lived. 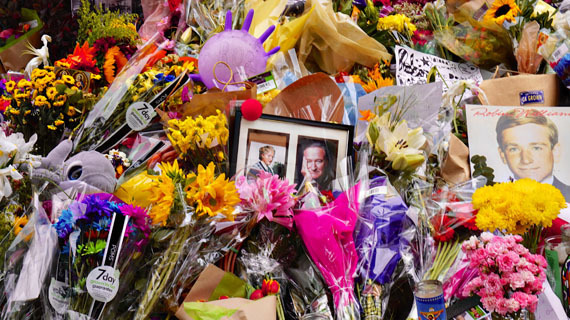 Over the next several weeks, Robin Williams' death became the worst kind of media free-for-all. We pored over the coroner's report. We detailed Williams' death in gruesome headline clickbait. We called him a coward and a bad parent. We ripped the Academy apart over their "Genie, you're free" meme. We found some relief from our collective sadness and confusion at the announcement that Williams was suffering the early stages of Parkinson's disease. This gave us an out. His suicide suddenly made more sense. It was easier to mourn him based on the tragedy of being stricken with a degenerative disease that had the potential to eat away at his body and his great mind than it was to consider the anguish he suffered that apparently compelled him to take his life. We got distracted from the real issue at hand: Suicide is largely preventable, and something we can each have a hand in changing. A million Americans attempt suicide and over 41,000 die by suicide every year. 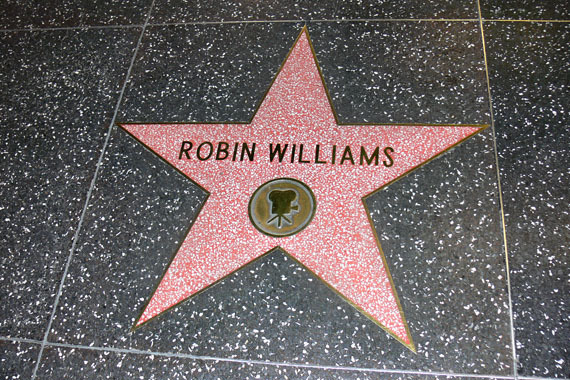 Robin Williams' death was just one in over a hundred on August 11, 2014. Per Dr. Julie Cerel, President-Elect of the American Association of Suicidology, every suicide affects 65-115 people in some way, from family and friends, to first responders and mental health clinicians, to witnesses and bystanders. Suicide will affect most of us at some point in our lives, if it hasn't already. In her book Stay, Jennifer Michael Hecht argues that we owe it to our future selves, and to the people around us, to continue living. I'd further that sentiment: we each have a responsibility to help keep one another alive. None of us is alone in this. It takes a village. Recognize warning signs (the things that happen right before a suicide) and risk factors (the things that increase the risk that someone may die by suicide), and how these apply to specific populations. Consider marginalized populations -- we often focus on youth, military, and LGBTQ suicide -- but don't forget that suicide rates are highest among those aged 55 or older. Learn how to talk to someone who is, or may be, thinking about suicide. Pro-tip: address it directly and calmly; listen more than you speak; know that even the pros feel anxiety about talking to those who are suicidal, but don't let fear stop you from being there. Identify appropriate resources. While there are many national resources, like the National Suicide Prevention Lifeline, Trans Lifeline, Crisis Text Line, and The Trevor Project, there are also local resources specific to your area. Look for crisis centers, respite homes, and community mental health centers. Use the resources once you've found them. Do your research. Advocate for yourself. If you can't do it, have a trusted friend or loved one help you. Finding the right provider is kind of like dating -- you need to find the right fit for all involved. Does the provider have experience with what you're going through? Can you confide in them? Can you afford their care? If you feel uncomfortable with a provider, find a new one. Learn how to talk to someone who has lost a friend/loved one to suicide, attempted suicide, or witnessed a suicide. Pro-tip: address it directly and calmly; listen more than you speak; don't let fear stop you from being there. Demand safe messaging. If you've been through a traumatic experience, like a suicide attempt or the loss of a loved one, learn how to tell your own story in a way that isn't triggering to those listening/reading. Journalists: learn how to report on suicide, especially in regards to celebrity suicide attempts or deaths. Entertainment professionals: change the way we portray suicide in TV and film (hint: we're doing it very, very wrong). Robin Williams was a kind man, noted for his good deeds and the joy he brought to so many of our lives. I think he would want us to grow from this loss, to take what we've learned, and to share it with our village. 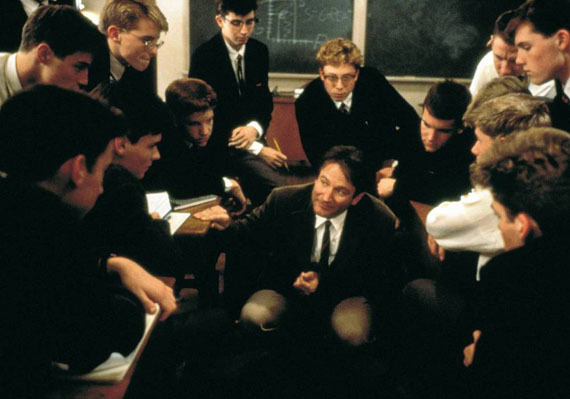 He played a controversial English teacher named John Keating in Dead Poets Society. In one scene, he crouches in the middle of the classroom. He tells his students to huddle up. They pull in close. He continues, "That the powerful play goes on and you may contribute a verse. What will your verse be?" Indeed, what will your verse be? Our words are the ground note. Words are the least expensive, most valuable tool we have to educate, to turn the tides of public opinion, to affect real change. Let's stop conversations that destroy lives, start conversations that save lives, and redirect conversations that distract us from what really matters. Our words can save lives. Let's honor Robin Williams' legacy by using them. If you're feeling suicidal, please talk to somebody. You can reach the National Suicide Prevention Lifeline at 1-800-273-8255; the Trans Lifeline at 877-565-8860; or the Trevor Project at 866-488-7386. If you don't like the phone, check out Lifeline Crisis Chat or Crisis Text Line. If you're a suicide attempt survivor and would like to share your story, take a look at Live Through This. Thanks to Dr. Julie Cerel, Dr. Jonathan Singer, and Dr. April Foreman for insights/edits.